All varieties of strawberries can be attributed to two large groups – fruit-bearing once per season and give multiple harvests throughout the season. This remontant varieties that bloom in the period from spring to autumn and fruit until the first frosts. 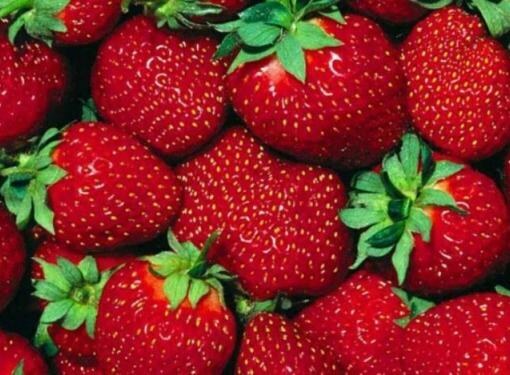 Everbearing strawberry varieties grow well not only in areas with warm climate. They can be grown in the Moscow region, the Urals and even in Siberia. They do not cease to bear fruit even after the coming of frost. "Elizabeth II" is large and well transportable sort of garden strawberry, which yields three crops a year. The first ripens in June, the second in July, third to the end of August. Under favorable weather conditions it is possible to obtain another crop, which is collected up until October. Berry of attractive appearance, firm flesh with deep red color. Fruit ripening in the autumn, not as tasty and fragrant as summer. In this class, the fruits begin to ripen in late may due to the formation of buds in early spring time. Thus, the vegetation period of the plant is not less than eight months. Another year-round variety, "Gigantella". In its cultivation has its own characteristics – this variety does not tolerate lack of moisture and high productivity gives only with regular watering. "Gigantella" good to grow in greenhouses, where it is easier to maintain the necessary climate and high humidity. The bushes are large and powerful, rise to a height of over 35 centimeters. Berries are very large, just a giant, regular shape, with exposed seeds, sweet. The first berries can reach a weight of 80-100 g and 9 inches in diameter. The timing of fruiting is also may-October. Variety of strawberry "Albion" is ideal for protected ground. The vegetation period is 9 months. In late may, the fruits begin to ripen. Yields – until the end of October. Berries are conical in shape, shiny, color dark red. Taste and aroma is very rich. This variety is considered the best because it has flavor compounds in two times more than other varieties. Moreover, it is particularly resistant to pests and diseases. The most cost-effective is a year-round variety of strawberry is the "Selva". He is the most prolific, the number of crops and number of berries is superior to all other varieties. Drought resistant. Suitable for greenhouses and open soil. Has bright red berries weighing up to 45 g. This variety for a long time to leave unattended, as the abundance of foliage suppresses weeds, and drought tolerance can help keep frequent watering. But its taste is "Selva" is slightly inferior to other year-round varieties.